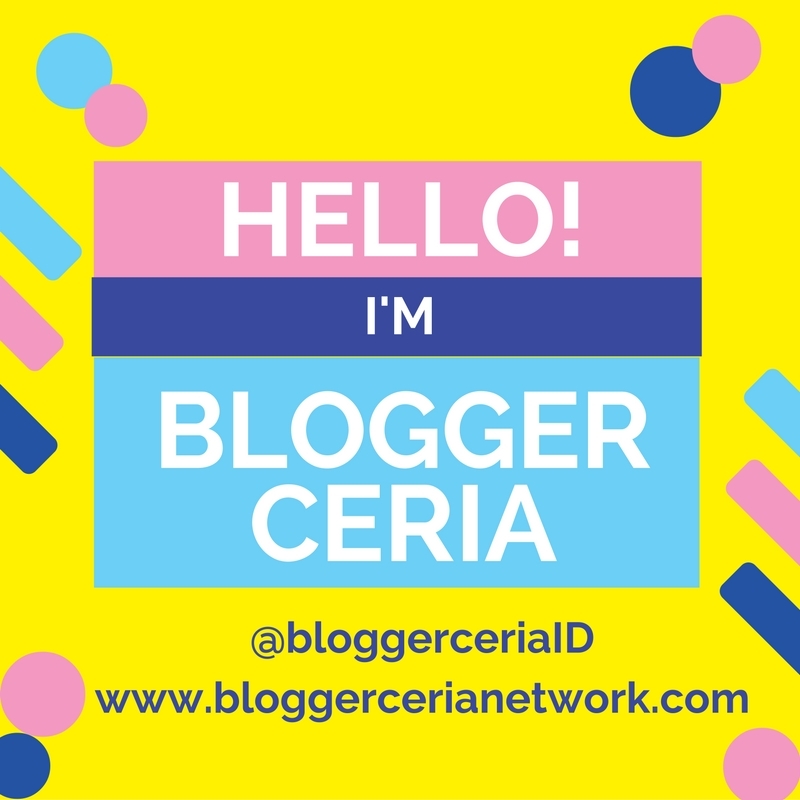 Since I love blogging, I'll look at computer and sleep sometimes irregular. Dark circles come and make me a bit of confidence decline. I decided to look for eye cream that can remove the dark circles. 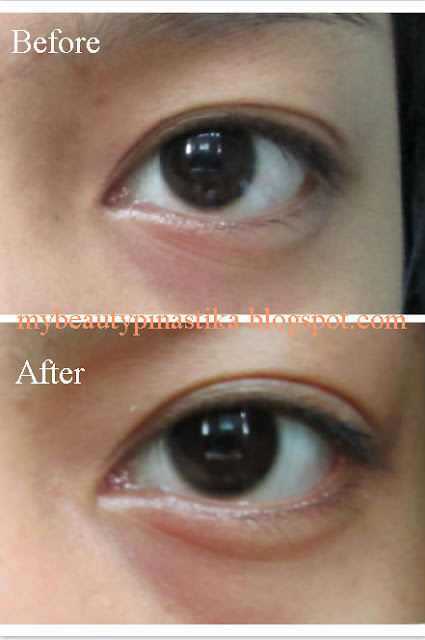 In addition to eliminate dark eye circle cream seems to also function as an anti aging. Very interested in the "anti aging", many assume that the anti aging is only for adults who are aged 30 years. A fault!! anti aging is prevention, not wrong if you wear it at an early age like 20 years. For example using sunblock when still of school age. You will regret it when lots of freckles on your face, and you know it's happening because you don't wear sunblock to prevent it. 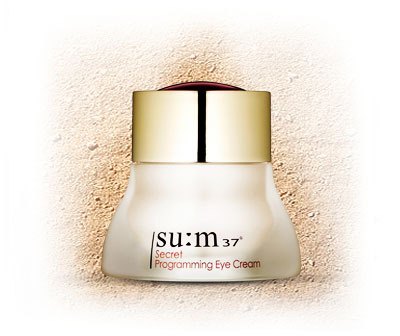 This time I will review eye creams from SU:M 37 Secret Programming Eye Cream. SU:M 37 is one of the high class cosmetics brand in Korea. You can read here. Secret Programming is one line SU:M 37.SUM 37 resulting from the fermentation process, and I am very interested to try it out. 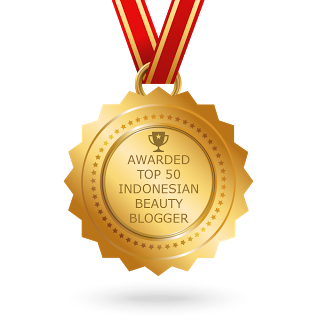 From this line are very popular and best-seller is Secret Programming Essence (SPE) that many say this rivals of Facial Treatment Essence (FTE) from SK II. I chose the sample. color sample SU: M 37 Secret Programming Eye Cream is very elegant with the color red. 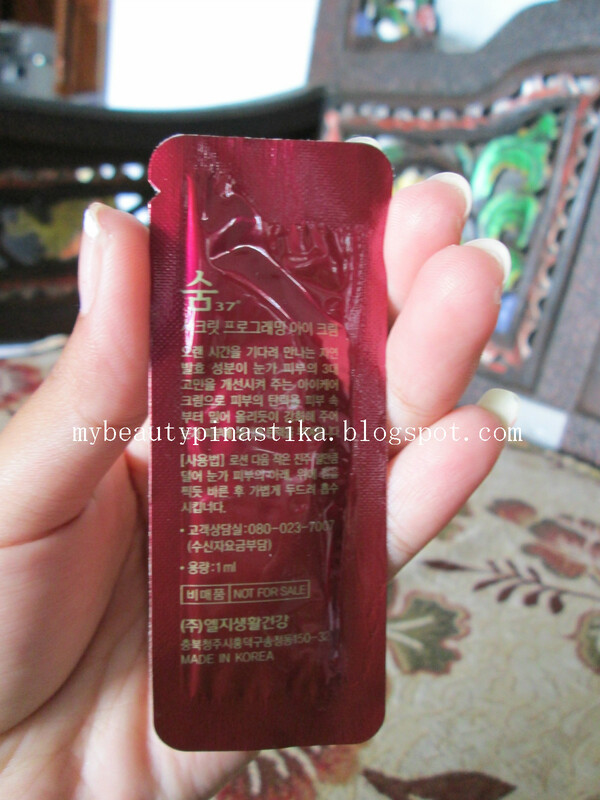 one sachet samples contain 1ml. Can be used one week 2 x a day, 9-10 x use. For full size the bottle is very cute with a size of 20 ml. The texture of this eye cream like other cream, condensed and concentrated. When applied somewhat sticky, but will be instantly felt cold like water. Psssssttt, this eye cream is very hard to absorb so should always be massage. It also serves for absorption maximum eye cream. 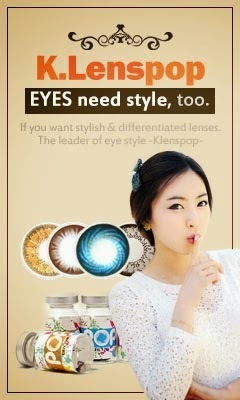 I love the eye cream, because it moisturizes and reduce dark circle. I love the eye cream is very suitable with my eyes and it doesn't lead to poignant. I've been using this eye cream for one and a half months, the results in may not quickly. We are diligent to use it. There are 40 sample, right now there are still about 34 sachet, so within one and a half months I just spent 6 sachets only ...very efficient!!! After you satisfied with Secret Programming Eye Cream, I'll try Secret Programming Essence who likes in compare with Facial Treatment Essence from SK II. hope it!!! 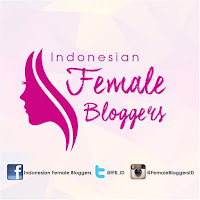 mau belliiiiii...tpi yg full versionnya dew..dmn yaa? wah sama dong,aku jg punya dark circle parah nh hahaha.. beli dimana ya itu? oic nya segera aku update yaahh..
yay~ korean products! I should really take advantage of all the awesome skin products available in Korea.... but I'm too lazy to do enough research to figure out exactly what kind of skin products i need! 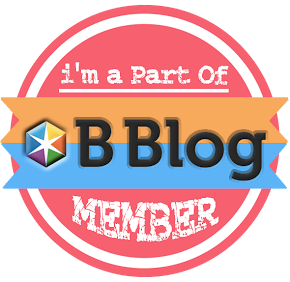 thanks for sharing !! i think this is one of best eye cream for anti aging ..